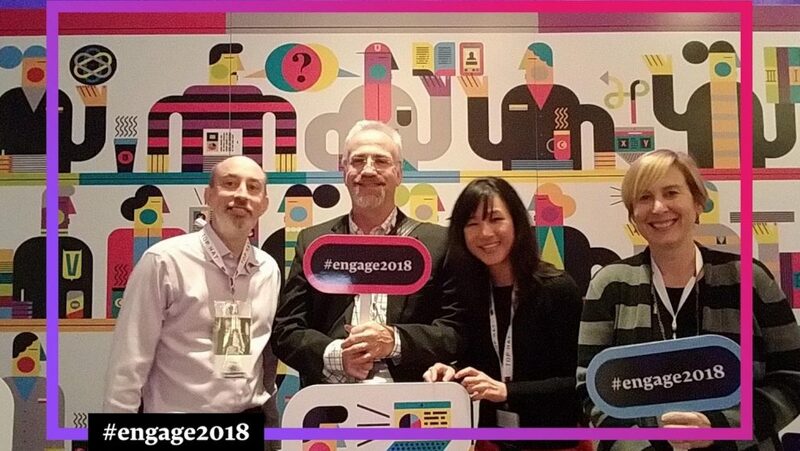 DELTA staff members (left to right) David Howard, Lou Harrison, Yiling Chappelow and Stacy Gant attended the 2nd annual Engage conference to learn more about the Top Hat platform. The 2nd annual Engage conference was held in Chicago in late October 2018. 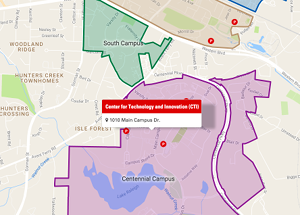 The conference provided an opportunity for faculty and staff from universities across the country to exchange ideas about innovative teaching and student success, using Top Hat technologies. DELTA sent Yiling Chappelow, Stacy Gant, Lou Harrison and David Howard to the conference to learn more about the Top Hat platform, meet users and Top Hat executives, and hear about the future direction of the company and their software. Additionally, Chappelow and Gant attended workshops and earned the Top Hat Innovative Educator Certification. One fantastic session at the conference was given by José Vazquez, a clinical professor of economics at the University of Illinois Urbana-Champaign. Dr. Vazquez spoke about provoking curiosity in the classroom as a means of engaging students and prompting learning. You can view his keynote online by filling in some information about yourself and your interests. The keynote by Sir Ken Robinson was also thought provoking, as he proposed that radical changes are needed in education to help the next generation thrive. Using both emotional storytelling and historical analysis, Robinson challenged professors to move from an industrial to organic approach to teaching. His keynote can be also be viewed online and is sure to spur some new ideas. DELTA staff also attended sessions about the Top Hat product roadmap to learn what’s coming and to advocate for missing features. Top Hat will be enhancing the peer-to-peer interactivity of its Content Marketplace. Soon, professors will be able to communicate with one another in the Marketplace, share feedback on the materials and directly collaborate on both implementation and improvements. At the close of the conference, Mike Silagadze (founder and CEO) announced that Top Hat will award $100,000 next year to five outstanding students as part of their scholarship program. Top Hat plans to bring these students to Engage 2019 to formally recognize them and celebrate their accomplishments. Professors can nominate a student through February 14, 2019, and we hope to see some NC State students in contention! If you are interested to learn more about the Engage conference or want access to presentation materials, contact Stacy Gant.